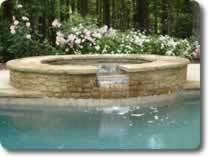 WaterLogic, Inc is a family-owned business with and over 23 years of experience in refurbishing gunite pools. Owner, Chris Baker, began repairing pools in 1989 and formed Water Logic in 2000. Today the Water Logic team is made up of leading industry professionals with many years of on-the-job experience. Unlike most companies that utilize subcontractor services to complete phases of the construction, Water Logic, Inc completes almost all renovations with full-time company employees and direct associates. The result you deserve and can be proud of. Our reputation is synonymous with quality and integrity. Since 2000, Water Logic, Inc has been winning the praise of its customers. We have a referral list that is unsurpassed in the industry. We understand that a satisfied customer is a referral, and referrals are the basis of growing our business. We strive to make every pool a referral. Haven’t you always longed for a place where you could live and work that just “felt right”? We relocated to our new home in Sugar Hill last year and have continued to fall more and more in love with our community. So much so, that we have chosen to expand our business more in the new area we’re growing to love. Reaching from the edges of North Fulton and South Forsyth to our south (and west) to the area around the lake to our north, our new personal and corporate home in Sugar Hill is everything we could have hoped for … and more. When making a decision on the company that will renovate your pool, ask yourself what kind of relationship you would like to have with your pool contractor long after your pool renovation is completed. Water Logic provides the additional service and warranties to handle your long term maintenance needs. Copyright © 2018 WaterLogic Inc. All Rights Reserved.